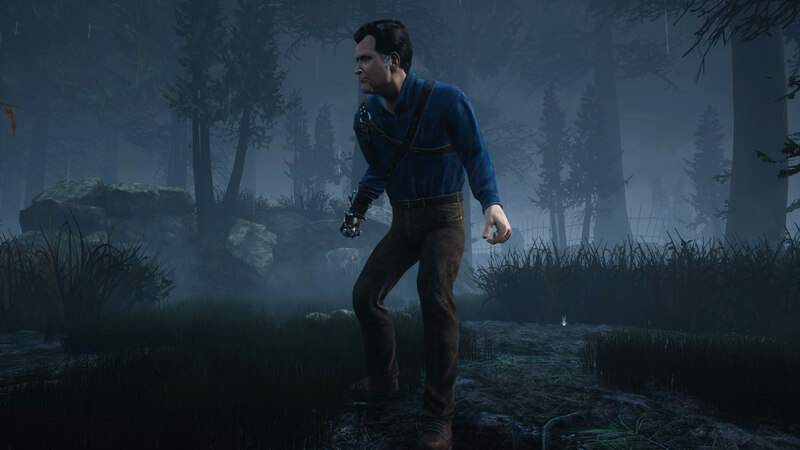 Ash vs Evil Dead DLC will unlock a new survivor, Ash Williams and an exclusive item for him. Ash vs Evil Deadis is a downloadable content (DLC) for Dead by Daylight action game, made and published by Behaviour Digital. Ashley J. Williams, the legendary hero from the Ash vs Evil Dead horror series, has entered the realm of the Entity. While this time the chainsaw is not his to wield, Ash knows how to escape gruesome death. Wander through The Fog as Ash and escape evil once more. During a weekend at a cabin, Ash uncovered the Necronomicon Ex-Mortis (Book of the Dead) and awoke something dark in the woods. Ashley J. Williams, the legendary hero from the Ash vs Evil Dead horror series, has entered the realm of the Entity. While this time the chainsaw is not his to wield, Ash knows how to escape gruesome death. Wander through The Fog as Ash and escape evil once more. Ash vs Evil Dead is a brand-new character for Dead by Daylight. Purchasing the Ash vs Evil Dead DLC will unlock a new survivor, Ash Williams and an exclusive item for him. Evil possessed his friends, whom he was forced to kill, and his right hand, which he sawed off. For the next thirty years, Ash ran from his past, working at a Value Stop department store and seducing women in dive bars. But he screwed up one night when he read from the Necronomicon to impress a woman. Evil found him once more. After a terrible fight, Ash, drawing his last breath, was taken by the Knights of Sumeria and transported into the future. But after his deal with a demon went South, Ash found himself in the realm of the Entity, without shotgun or chainsaw.